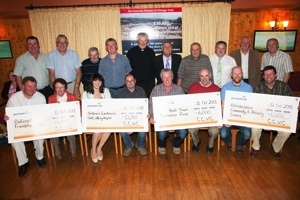 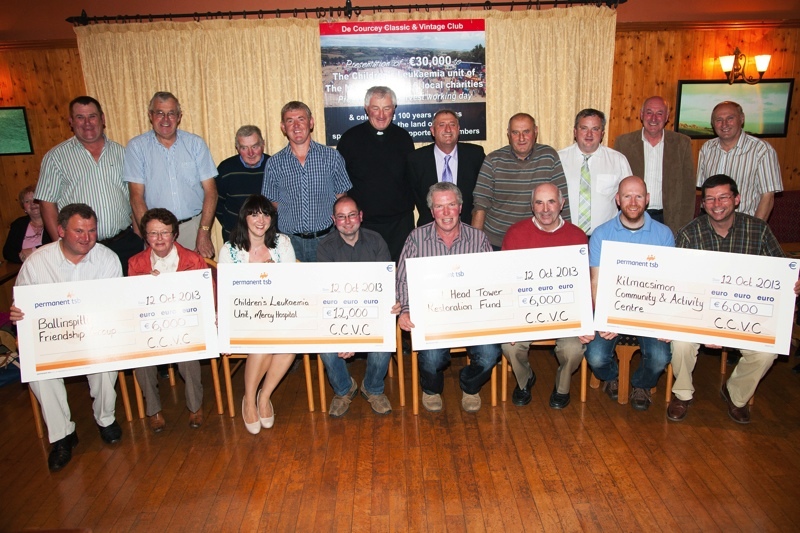 €30,000 presented to four worthy causes. 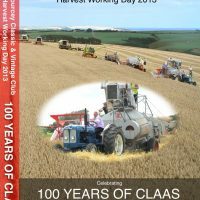 Celebrating 100 years of Claas. 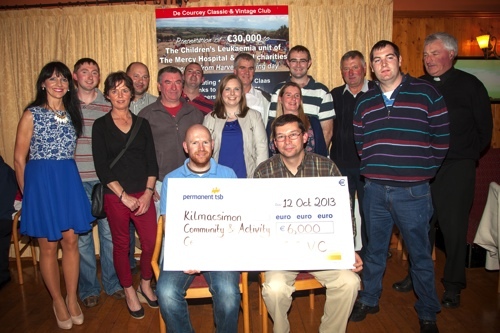 On sat 12th Oct De Courcey Classic and Vintage Club held a presentation night to distribute funds raised at the Harvest day on Mon 5th Aug. Tim and Fidelma McCarthy, of McCarthy Argi Carrigtwohill & Lisavard and representating Claas farm machinery joined club members and friends at the Blue Horizon, Garrettstown for a social evening during which cheques were presented to a number of organisations. 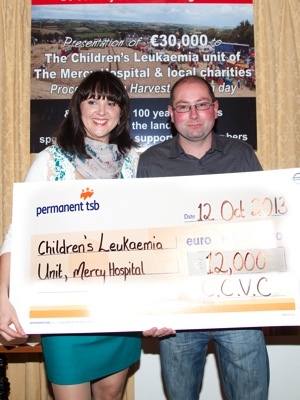 The Children’s leukaemia unit Mercy Hospital received €12,000 , The local Friendship Club, Old Head Tower restoration fund and the Kilmacsimon community and amenity centre received €6000 each. 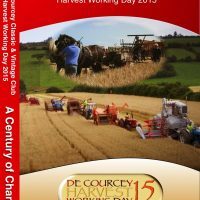 With well over three thousand people of all ages in attendance at Jim O’Regans farm, Barrells Cross, this year’s Harvest day was the biggest yet to be hosted by De Courcey classic and vintage Club with the assistance of Claas who are celebrating 100 years in business. 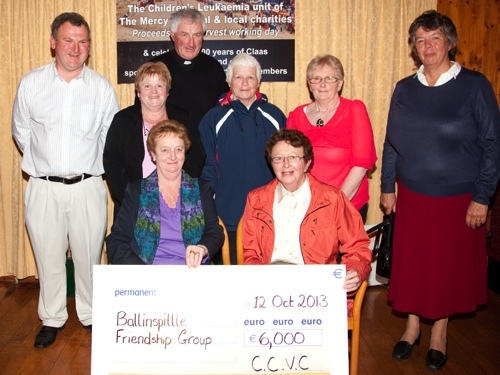 Presentations were also given to Jim & Eileen O’Regan, the landowners and to former Chairman and founding member Connie Coughlan and Martina Coughlan on their recent marriage. 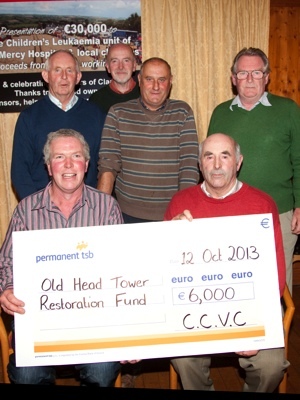 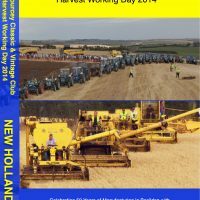 This entry was posted in Claas 100, News and tagged 100, 30000, Claas, Classic, Courcey, Day, De, friendship, group, Harvest, head, hospital, Ireland, kilmacsimon, leukaemia, mercy, Old, tower, Vintage, Working on October 15, 2013 by admin.